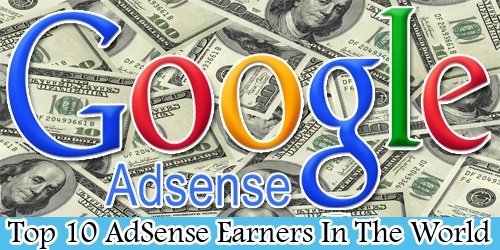 Top 10 highest Google AdSense earners in the world made good money. So how much do the top Google AdSense earners in 2018 make precisely? If you already have a website then you may have already used Google AdSense or other AdSense alternatives as a way of earning with your website. You have a feel of earning through your website, and in this case using top ad networks such as Google AdSense. One vital thing you have noticed is that you can’t make much with Adsense on a blog/site with a low traffic. Meaning that the top Adsense earners in India, in US, in the UK, Africa … and the list is endless; in the whole world,, have big popular sites with high traffic. See clean, popular and working ways increasing traffic to your website. Jeremy Schoemaker is an internet entrepreneur and founder of ShoeMoney media. You can most likely bump into him at Search Engine and/OR Affiliate Marketing conferences giving lectures. While studying at Western Illinois University, Schoemaker founded his first online business making Mac gaming sites before launching ShoeMoney.com in 2003 – a blog about finance and web monetization. ShoeMoney’s blog was named Best Affiliate Marketing Blog of 2006 by Search Engine Journal. In 2010, Schoemaker also won Fast Company’s Influence Project, getting more than 500,000 clicks by tapping into his online followers. Perez Hilton (not his real name) is an American celebrity gossip blogger, columnist and TV personality. Perez Hilton whose real name is Mario Armando Lavandeira, Jr was born and raised in Miami, Florida, USA. After his high school graduation in 1996, the aspiring actor received a scholarship to New York University where he started his professional career as an Actor. Perez Hilton would later get into much showbiz troubles and later felt like he couldn’t manage this career and took the celebrity news blogging career path something which in his view, it seemed easy to venture into. He left his Law practice and then thought about do something different so he started Techcrunch in 2011 – the world’s most popular technology site. Markus Frind is a German internet entrepreneur – the CEO and Founder of PlentyofFish(POF), one of the world’s biggest dating site. The website up until 2014, had revenues reach up to 100 million US dollars with 75 employees under its roof majorly computer programmers, networking and customer service representatives. On July 14, 2015 PlentyofFish (pof.com) was sold to The Match Group, a matching company for $575 million USD. Courtney Rosen is the founder of eHow.com, a popular ‘how to guides’ website that produces step by step instructions. eHow was founded in 1999 and since then has grown so popular. It is a site that allows anyone to publish an online guide within their areas of profession. When he started Mashable, Pete never disclosed te idea to anyone not even his parents. He put so much work to it engaging in writing at every given opportunity. He is a true defination of the phrase, ‘hard work pays’. Jack Herrick is the CEO and founder of wikiHow. He is an internet entrepreneur with notable projects under his belt that include wikiHow, Luminescent Technologies, and BigTray. On January 2005, Jack started wikiHow as a How to’s tutorials and guide site that works in a similar fashion as eHow.